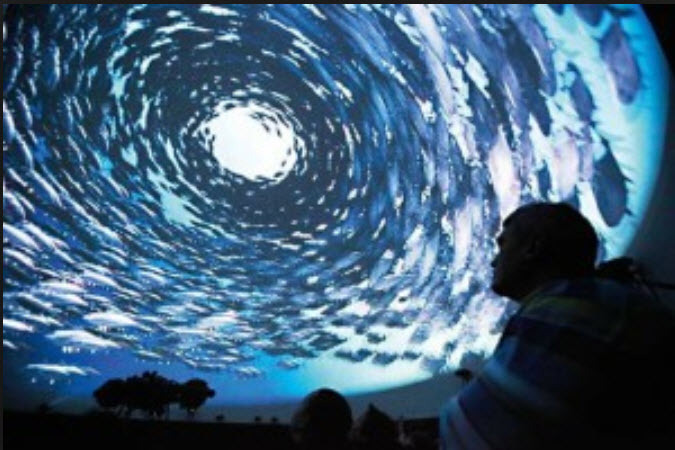 Schull Planetarium, located in the seaside village of Schull in West Cork, holds Starshows during summer months with special Bank Holiday programmes. The show consists of three elements beginning with a short video presentation, then a guided tour of the constellations to be seen at a given time. The night sky projected is an accurate representation of the starscape visible at the time of year. The final section of the Starshow is the Questions and Answers session. Audiences are actively encouraged to participate. Each Starshow lasts for approximately 45 minutes. It is recommended for over 7s. The UCC Walking tour is a full family friendly historical and cultural walking tour that includes a visit to Crawford Observatory as well as key places in the University and their unique Ogam Stone collection which is the largest display of Ogam Stones in Ireland. Children are welcome to wear replica robes during the tours and are encouraged to participate along the way. Tours which are led by guides last 70 mins and run Monday to Friday at 3pm and 12 Noon on Saturdays (except Bank Holidays). Booking is not required. Each Participant will receive an Ogam bookmark at the conclusion of the tour. 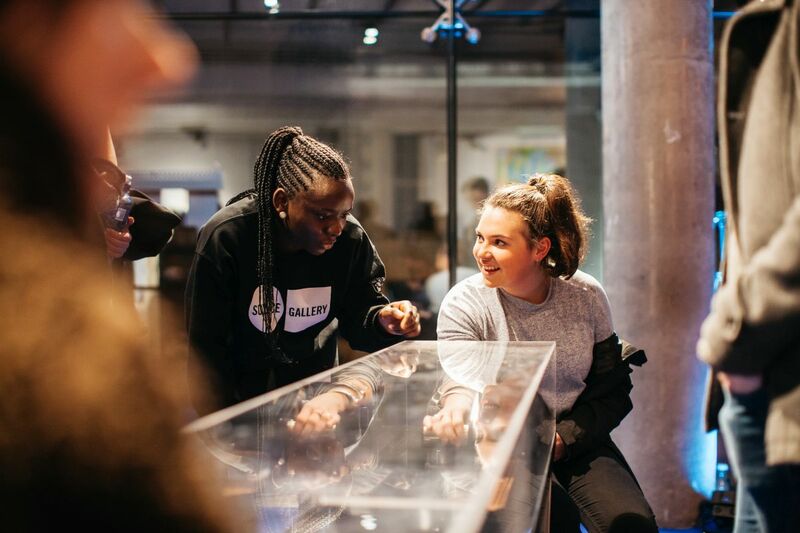 Science Gallery at Trinity College Dublin is a free-entry space with an ever-changing programme of exhibitions that encourages young people to learn through their interests. Since its opening, more than three million visitors to the gallery have experienced over forty unique exhibitions, ranging from design and violence to light and love, and from contagion and biomimicry to the futures of the human species and play. NB Unlike most galleries, they don’t have a permanent collection so between exhibitions only the shop and café remain open. Created by Science Gallery at Trinity College Dublin, MAKESHOP is a collaborative space where everyone can explore and experiment with design, science, art and technology through hands-on workshops. 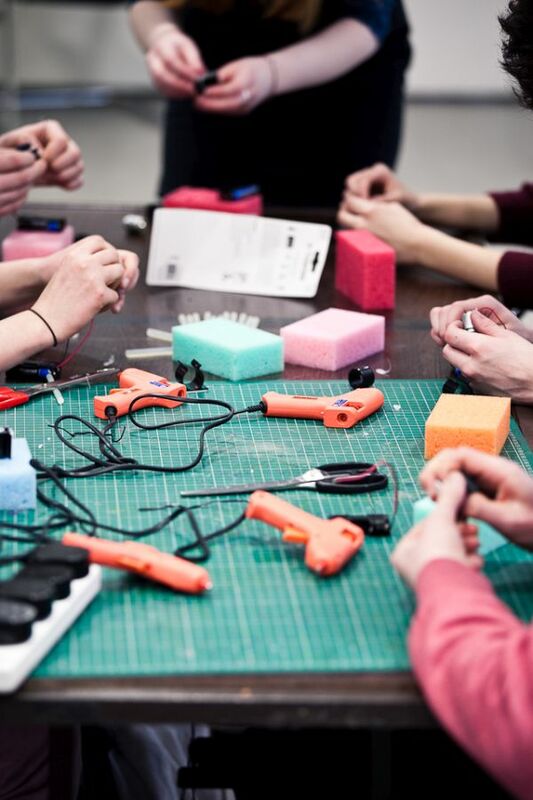 MAKESHOP is a place where you can learn to solder, make, code, create, invent and fix. They cater to all experience and skill levels, welcoming makers aged 4 to 104 to walk-in workshops and after-school courses. 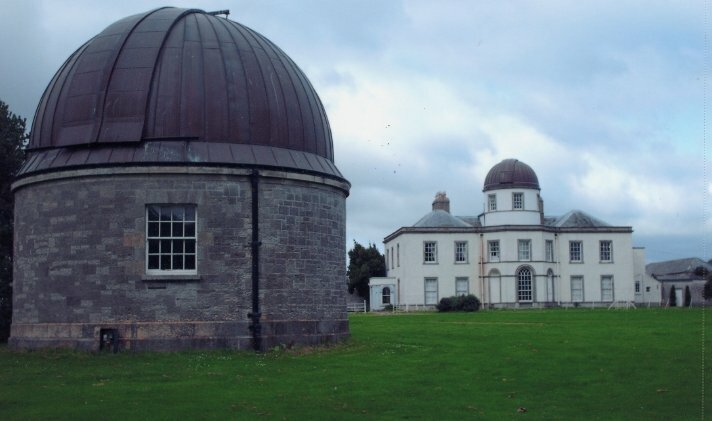 Dunsink Observatory, part of the Dublin Institute for Advanced Studies and integral to the Irish Astronomy Trail, has a long history in the service of science. 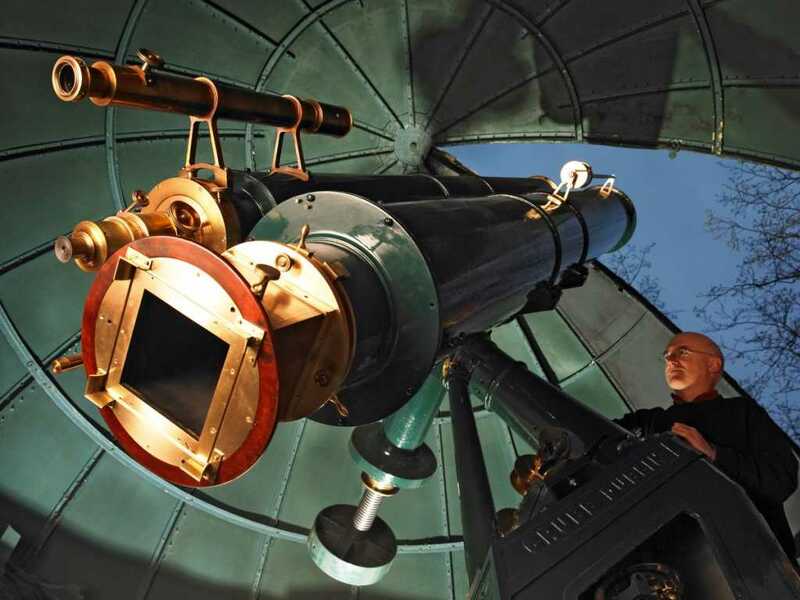 They hold public open nights during the winter months and from time to time Dunsink Observatory holds a special evening for parents and children who want to learn more about astronomy and space. 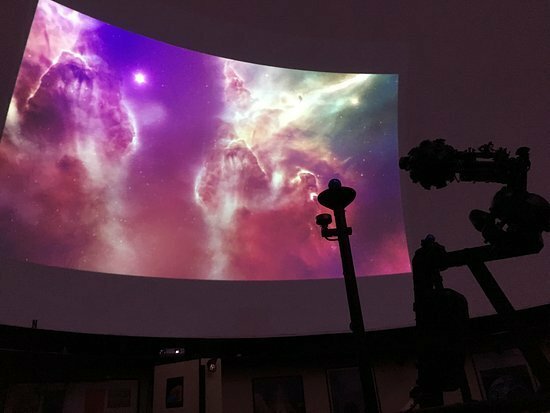 Family event evenings start at 7:30 pm with a short presentation, followed by live stargazing (weather permitting) and a lively question and answer session. The evening presents an exciting opportunity for parents and children to meet a real astronomer and explore the night sky together. Imaginosity, Dublin Children’s Museum is Ireland’s ONLY dedicated children’s museum, a child-centred, creative, educational space for children up to the age of 9 and their families. It’s also a DPSM (Discover Primary Science and Maths) Accredited Discover Centre. The museum’s three floors and 18 interactive exhibits are designed to inspire life-long learning through play. As part of the museum’s commitment to S.T.E.A.M education, Imaginosity host various workshops and camps as well as participating in national STEM weeks, aimed to educate children in the STEM subjects in a fun, engaging and hands-on way at different times of the year. Sea Science – the Wild Atlantic exhibition explores marine life along Galway’s coastline through fun and informative displays for all the family to enjoy. It is a must-see for visitors of all ages but designed primarily for children and young people. Originally developed and commissioned by the Marine Institute Galway for SeaFest 2016, this interactive exhibition is the first gallery of its kind in Ireland and presents fascinating facts about marine life. 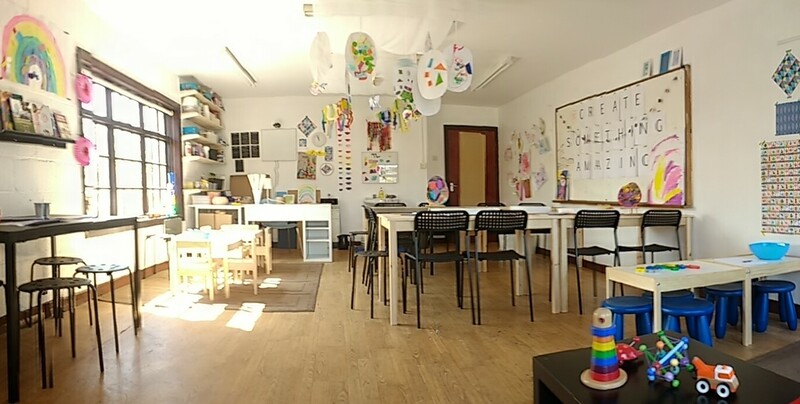 Toodlelou Creativity Lab in Oranmore, Co. Galway is the place to bring your curious and creative kids. They give youngsters from toddlers to teens a place to create, tinker, experiment, explore and make. 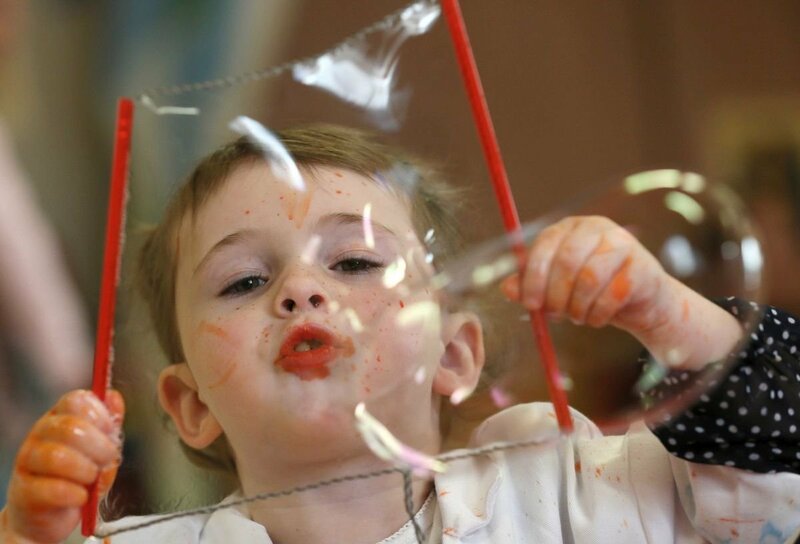 From free play classes for toddlers, to mini-maker sessions for preschoolers, STEM and Art classes for school-goers and weekend Open Studio when families can get creative together, they have something for everyone. All of their classes, workshops and camps value process over product and believe wholeheartedly that creativity is an essential component of learning. Galway Atlantaquaria Ireland’s Largest Native Species Aquarium, Salthill Galway offers its visitors a family friendly day by the sea. 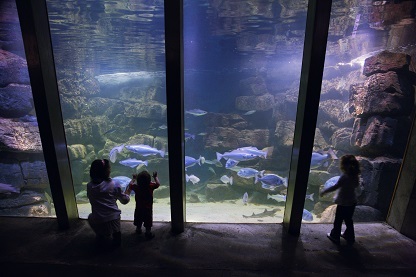 There are over 100 native species and a wide array of exhibits over two floors at the aquarium. 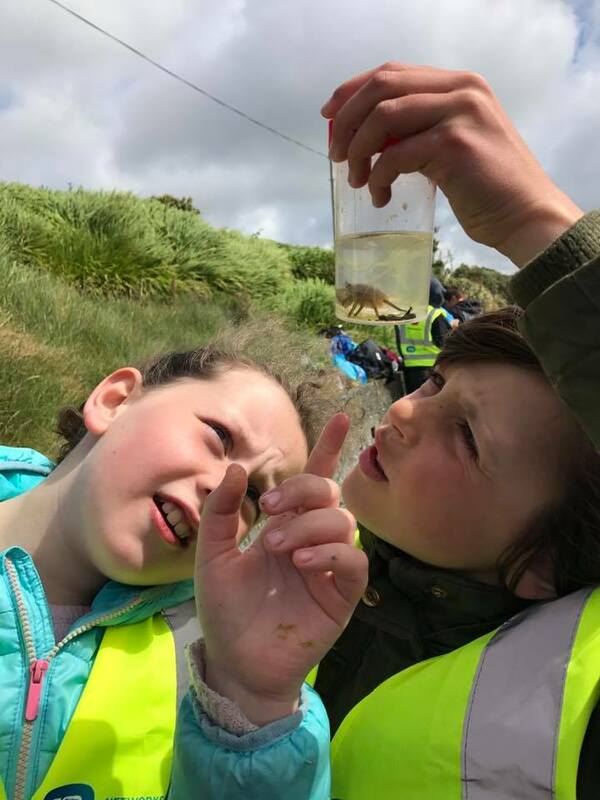 With regular tours and interactive feeding times there is always something new to learn about the marine life of Ireland. 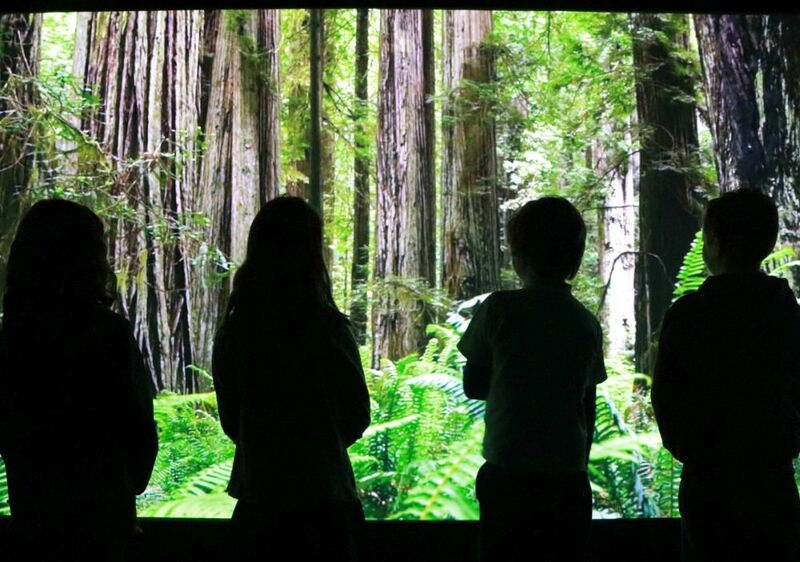 Based in the picturesque Powerscourt Estate, the Cool Planet Experience is Ireland’s first interactive experience aimed at inspiring positive climate action. Through a series of interactive exhibitions & games, the Cool Planet Experience aims to inspire, uplift & essentially make sustainability so cool it becomes the norm! The Cool Planet Experience officially opens on the 28th of February 2018. Some of the amazing engineering feats at Birr Castle Demesne include the Great Telescope built in 1845 which was the largest in the world for over 70 years, the Steam turbine invented by the son of the 4th Earl, Charles Parsons, the new I-LOFAR radio telescope and so much more. 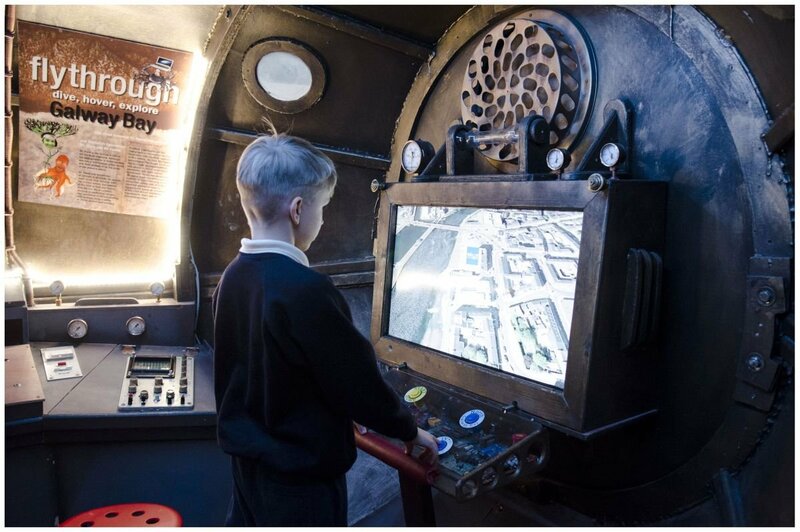 The interactive Science Centre at the Castle reveals the wonders of early photography, engineering and astronomy with a special emphasis on the brilliant design and assembly of the world famous Great Telescope. One of the major discoveries with the telescope was the spiral nature of the nebulae. Discover astronomical instruments, cameras, photographs and photographic equipment used by the Third and Fourth Earls and Mary, Countess of Rosse, in the middle and late 1800s. Also on display is electrical and engineering equipment originally belonging to Charles Parsons and used in his experiments as well as a large area devoted to the botanical work carried out in the Demesne. 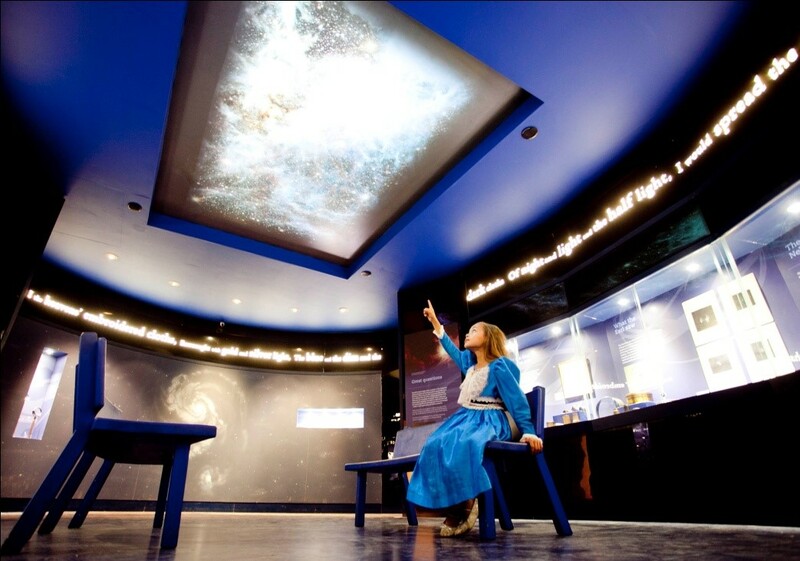 At the Inishowen Maritime Museum you can visit the Planetarium which gives audiences of all ages an opportunity to view various shows about astronomy and science, there are also shows on prehistoric sea monsters, global climate and the ‘Enchanted Reef’. The dome theatre runs four shows each day with set times during summer; during winter hours, planetarium shows are not presented at pre-set times. As long as a staff member is present to run the shows, they are available anytime on a walk-in basis. (min 6 persons for unscheduled shows during winter opening hours). 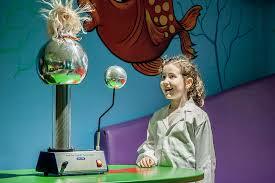 W5 is an award winning Interactive Science and Discovery Centre in Belfast. Located at the Odyssey Arena, it has over 250 interactive exhibits in six themed exhibition areas, including Spacebase, Climbit and Discovery, with different exhibits for different ages. In addition to permanent exhibits, W5 also presents a changing programme of large and small scale temporary exhibitions and events. Digital Theatre with shows allowing you to experience our planet and beyond; take a tour of the night sky, or even discover some of the myths behind the star constellations. The Mars room where you can touch the largest meteorite on display in Ireland which at an amazing 4.6 billion years old, is the oldest thing you’ll ever touch. See scale models of probes such as Viking and Satellites such as the International Space Station and the Hubble Space Telescope. 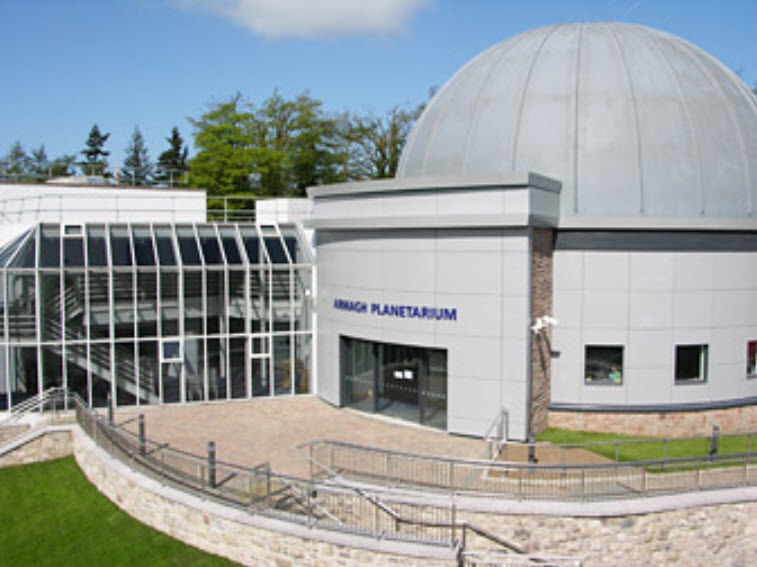 Armagh Planetarium is open Monday-Saturday from 10:00 – 17:00. 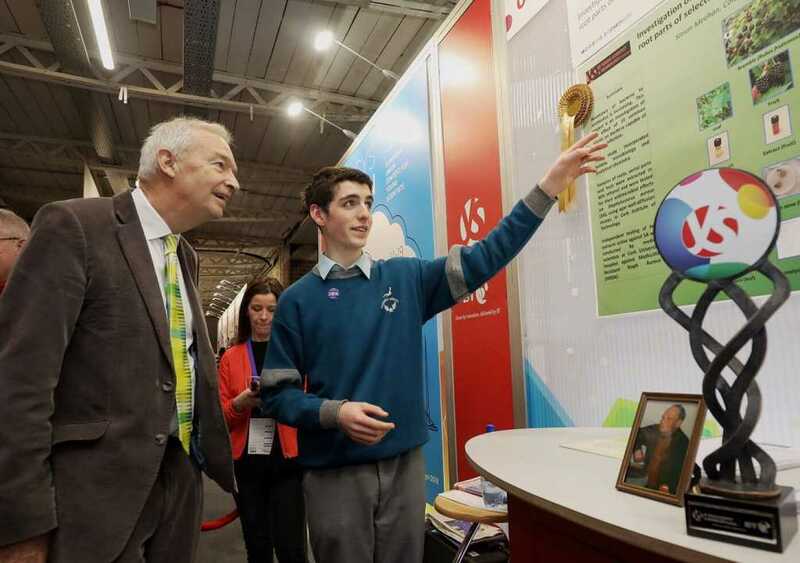 The BT Young Scientist & Technology Exhibition takes place every January in Dublin. This year 4,251 students from 383 schools entered 2,031 projects for the 2018 BT Young Scientist & Technology Exhibition. There are over 140 awards and since 1965, over three quarters of a million people have visited the Young Scientist Exhibition, which is open to the public on the Thursday, Friday and Saturday. Also at the same time, the RDS Primary Science Fair provides a public forum for primary schools across Ireland to showcase their class STEM (Science, Technology, Engineering and Mathematics) projects, receive feedback from experts in the field and learn from viewing other projects at the BT Young Scientist and Technology Exhibition. Science Week runs every November across Ireland and provides people with the opportunity to explore and discover how science is a part of their everyday lives – from the science of the food and drink you consume, the role technology plays in fashion to the science of sleep. 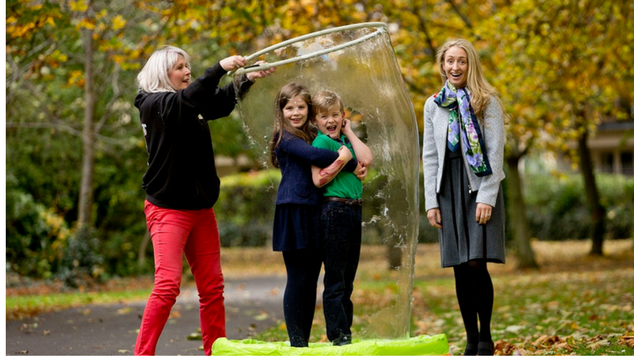 Science Foundation Ireland encourages people to get involved with the nationwide celebrations of Irish science and technology during Science Week. 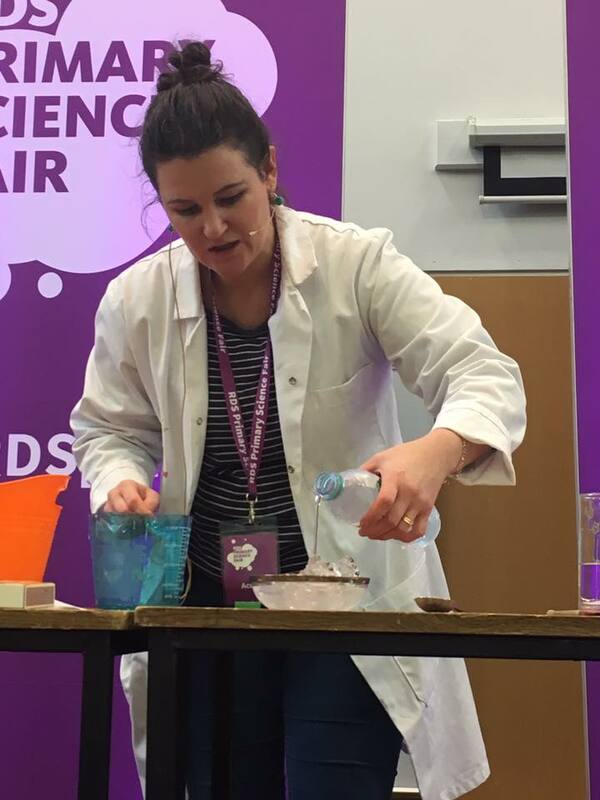 During the week, regional science festivals and events are held across the country highlighting the exciting world of science and how it shapes the world around us, these festivals feature a wide range of events including family open days and events exploring the science behind our everyday lives and schools outreach events. For more information visit the Science Week website www.science.ie. 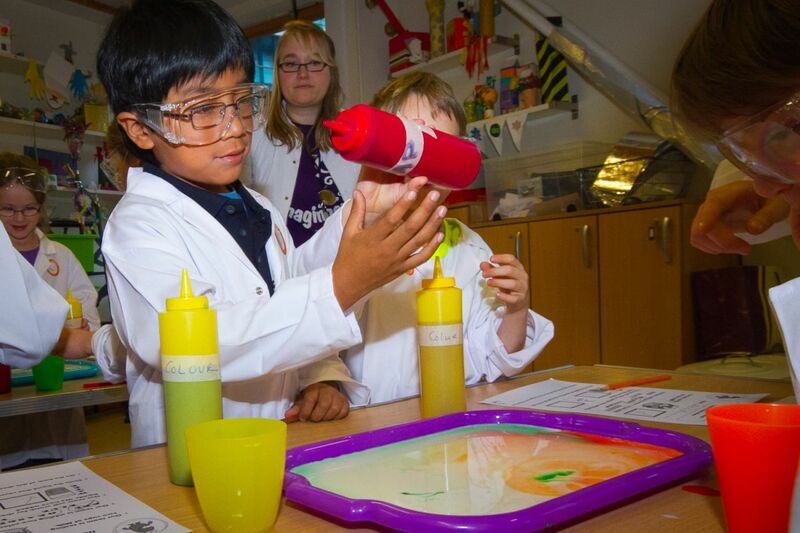 Imaginosity runs Dr. Osity’s After-School Science Class as well as Holiday camps. Dr. Osity’s After-School Science programme runs term time on a Wednesday from 3-5pm. 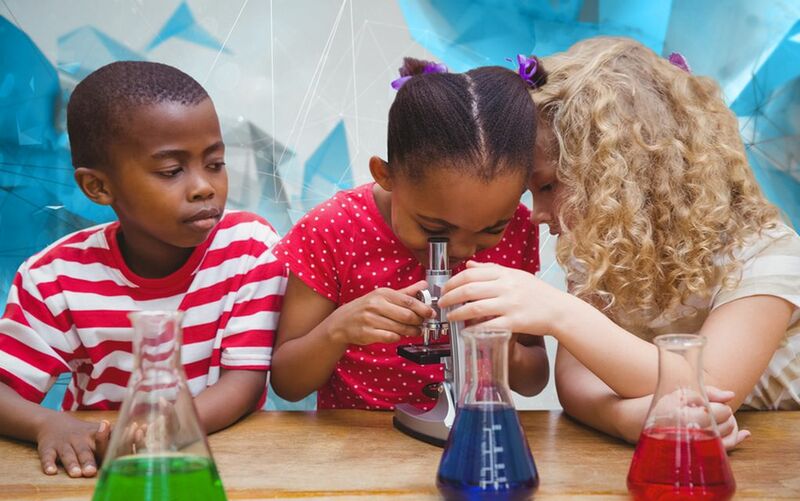 Dr. Osity’s Science Class is a FUN packed, interactive exploration of scientific learning which includes experimentation, scientific discovery alongside time to explore Imaginosity. 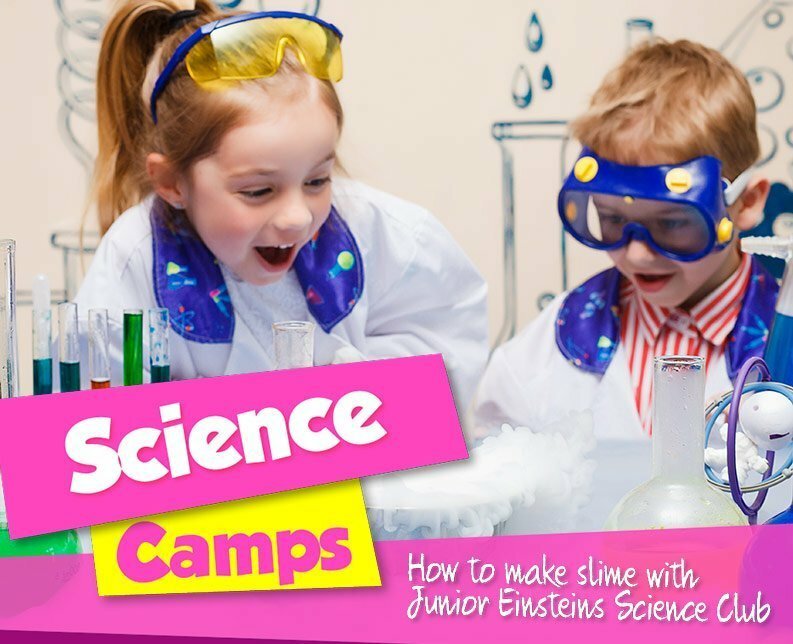 Dedicated Science camps run at various times throughout the year for children aged 5-9 years. The Trinity Walton Club gives secondary school students a unique hub to connect with others who share a liking and talent for STEM. Students who sign up for the club or camps participate in a range of challenging (yet enjoyable!) STEM sessions and activities. The Club takes place Saturdays from September through June. They also offer Easter and Summer camps for secondary students. 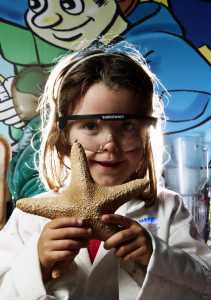 Discover the wonders of science at the Science 4 Summer Camp at the Aquarium in Galway. At the camps for ages 5-7 and 8–12, kids discover the wonders of science at this years Science 4 Summer Camps. They undertake experiences, design technology and lots more. If your teen aged 15-18 is interested in pursuing a career in Natural Sciences, working in an aquarium then they also have a new Aquarium Academy Course which is a custom-made programme exploring topics including animal enrichment and animal husbandry, learn by gaining first-hand experience in these areas throughout the week. Anyone 4 Science provides hands-on educational Science Engineering & Maths activities for 5—15 year olds, with After School Science clubs in schools and community centres. They run science camps for primary school kids at February Half Term, Easter, Summer, Halloween as well as Summer Camps for Teenagers with hands-on problem solving and investigative science combined with team and individual experiments and make projects. Camps run at 25 venues in 15 counties across the country from Cork to Dundalk. Junior Einsteins Science Club offer After-School Science Clubs, School Science Shows as well as Science Hallowe’en, Easter & Summer Camps. Their science classes, camps and events are something different, all about encouraging your ‘Junior Einstein’ to explore and be curious about the world around them. Science Camps cater for primary school aged children starting from 6 years, with a hands-on approach to help children to find their own level within an activity keeping them engaged and challenged. After School Interactive Science Labs are the perfect mix of fast and furious demonstrations in addition to hands-on make & do experiments and activities. It is mess and hassle free and the children will have lots of fun! Whole School Science Shows are very interactive and children get to make slime and electrocute a Barbie doll! 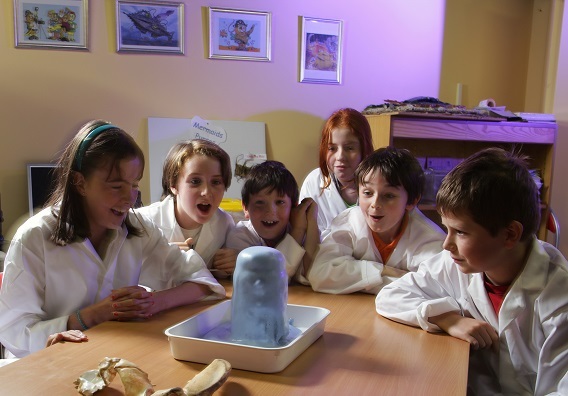 The Science Hub at Learning Hub Limerick offers afterschool workshops, workshops during school time for primary schools and Science Magic Shows for younger children. The Science Magic Shows are aimed at 5 to 9 year olds and the general public. 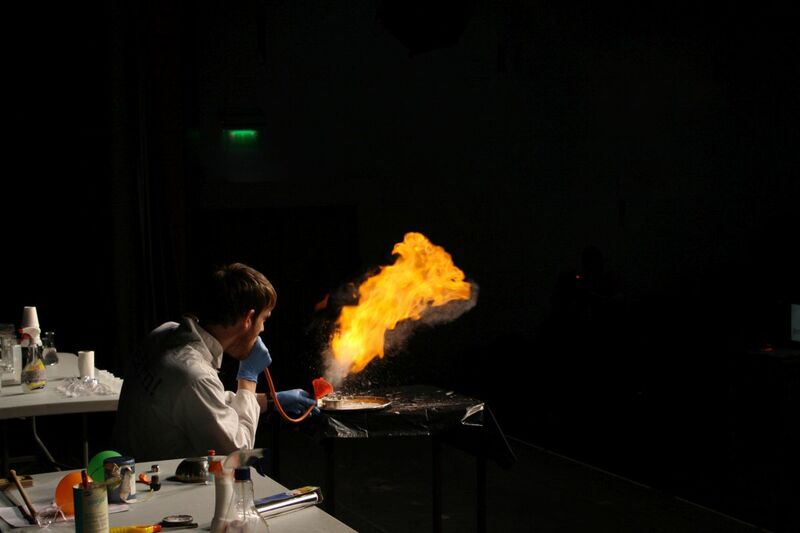 During the show the audience are presented with a range of chemical and physical demonstrations designed to foster an excitement for science. Where possible audience involvement is encouraged. While it is presented as a “magic” show the session is very education focused as participants will learn about various chemical reactions and scientific phenomena. This is definitely one that the audience will remember for a long time! 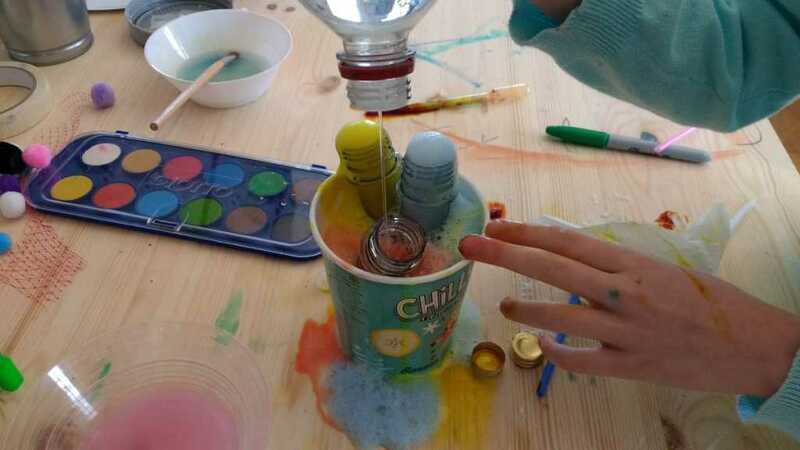 Toodlelou Creativity Lab in Oranmore, Galway offers a weekly Creative STEM class that explores scientific concepts and topics through a mix of science experiments and art projects and a combination of the two. 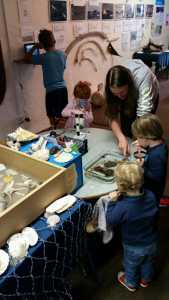 They explore like themes such as rockets, volcanoes, sea creatures, chemical reactions, rainbows and fossils. Their hands-on projects use art to explore the theme of science, as well as science experiments to create art. 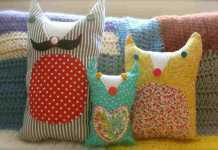 The class takes place weekly on Tuesday afternoons at 3.30 – 5.00pm and welcomes drop-ins. They also offer camps during school holidays. Sea Synergy offers lots of fun outdoor activities during holidays to get close to nature like seashore safaris, snorkeling, sea camps and nature camps for kids and families. All activities are suitable for beginners, child and family friendly and have high safety standards with experienced leaders. 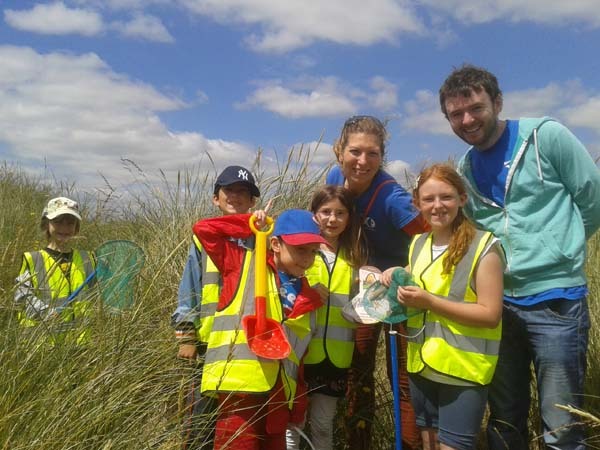 Marine Dimensions’ Ocean School offers popular Kids Sea Camps which are based in Bray and North Bull Island Nature Reserve. 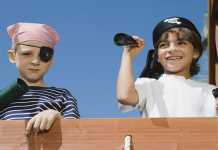 These courses are full of hands on activities that are bound to thrill and amaze any child interested in our marine world. Children are introduced to a whole host of sea creatures, including sharks, rays, starfish, crabs and lots more! Kids also get a chance to discover nature outdoors with an enthusiastic and experienced team of marine biologists. Outdoor activities include tide pooling, sand castle competitions, shark eggcase hunts and even seal watching! – Lighting lightbulbs by just touching a plasma ball! – Simple, but mesmerising Walking Water, hand boilers and to top off the fun their FAMOUS Mentos and Coke Geysers shooting 4m into the air! 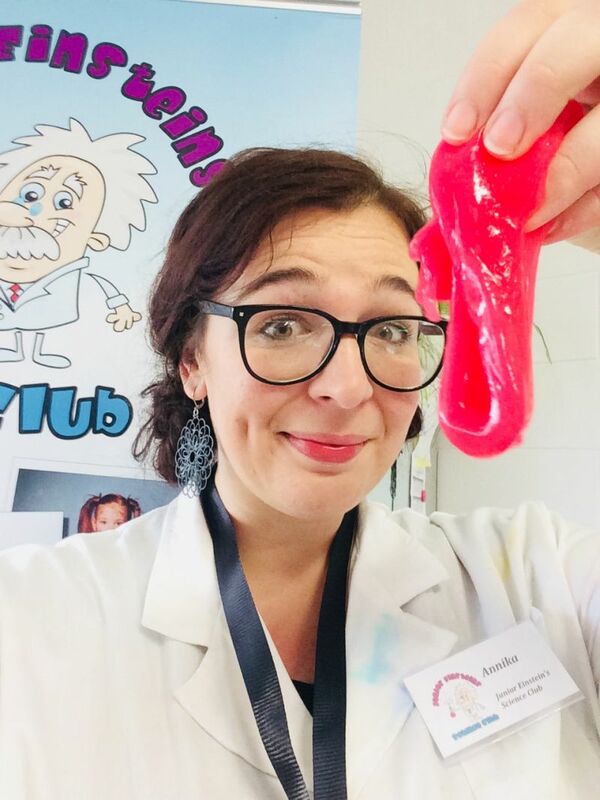 Anyone 4 Science Birthday Parties offer CSI, a make party, cosmetic science, bubbles or just a range of mad science experiments to make their science parties unforgettable. Galway Atlantaquaria parties are a fun and hassle free way to celebrate birthdays in a safe controlled environment and will provide an unforgettable experience for youngsters of all age groups. Your 2 hour party package includes a dedicated Party Host & Guided Tour of the aquarium where children will get an opportunity to feed the fish, hold starfish and spider crabs, Birthday Tea & Treasure Hunt, a present for each child and a family day pass for the birthday child to use on a future visit. There’s nothing quite like a birthday party Toodlelou Creativity Lab. A creative exploration studio for young people aged two to teen located in Oranmore, Galway, the Lab is designed to inspire. They design each party around the child’s interests, from unicorns to fairies, knights to dinosaurs and everything in between. Guests are treated to two hours of creating art and/or experimenting with science, and bring home everything they’ve made at the end of the party. Catering for groups of up to 20 children, all materials are included – including a special collaborative piece created at the start for the birthday girl or boy to bring home. Dr. How’s Science Wows was set up by Dr. Naomi Lavelle as a resource for parents, children, teachers and educators. The award winning website and blog offers all things science from experiments, to facts, videos, graphics and quizzes. As a mother herself, Naomi has been driven by the questions and curiosities of her own children and now she receives lots of questions from other curious children too. She works as a science consultant and writer and in a hands-on capacity, designing and presenting workshops all around the country. 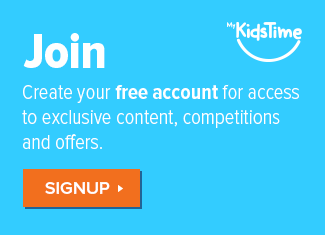 The Nasa Kids’ Club website offers a safe place for children to play as they learn about NASA and its missions. You will find STEM games of various skill levels for children pre-K through grade 4, and the NASA Kids’ Club Picture Show shows off some of NASA’s coolest and most interesting pictures. 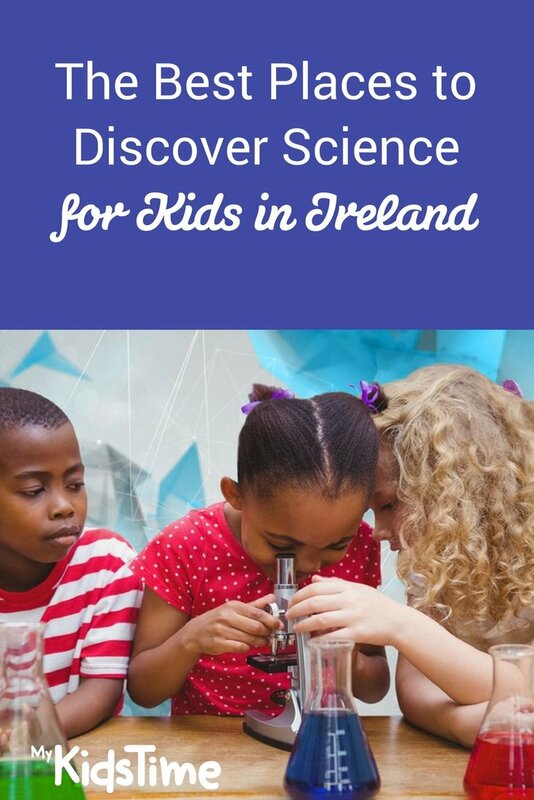 On the Primary Science website you can look up Discover Science Centres around Ireland which you can visit and discover science together with your child. 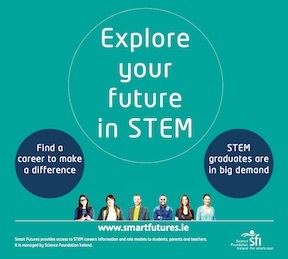 The Smart Futures website aims to provide STEM career resources to students, teachers, guidance counsellors and parents in Ireland and stimulate an interest in STEM subjects. 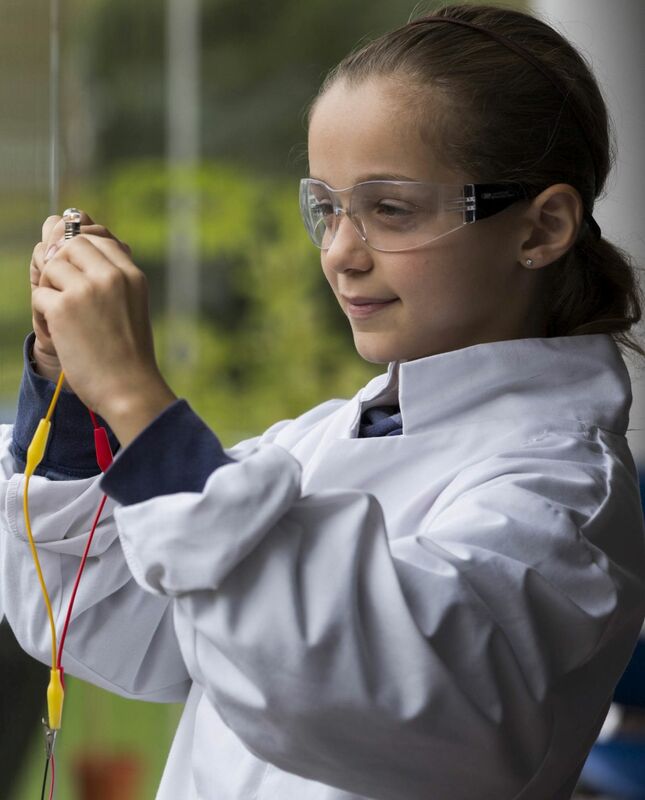 Explore your future in STEM is an online brochure for students, teachers and parents alike to make it easier to get to grips with careers in Science Technology Engineering and Maths. Smart Futures is coordinated and managed by Science Foundation Ireland, in partnership with Ireland, BioPharma Ireland, the Royal Society of Chemistry, ICT Ireland, the Irish Medical Devices Association (IMDA), the Institute of Physics, the American Chamber of Commerce and many other stakeholder groups. Over to you now. 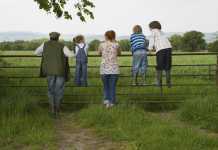 Is there a place, class, camp or party provider for science for kids that we’ve missed? Have you visited any of these places and enjoyed them? Tell us in the comments below.